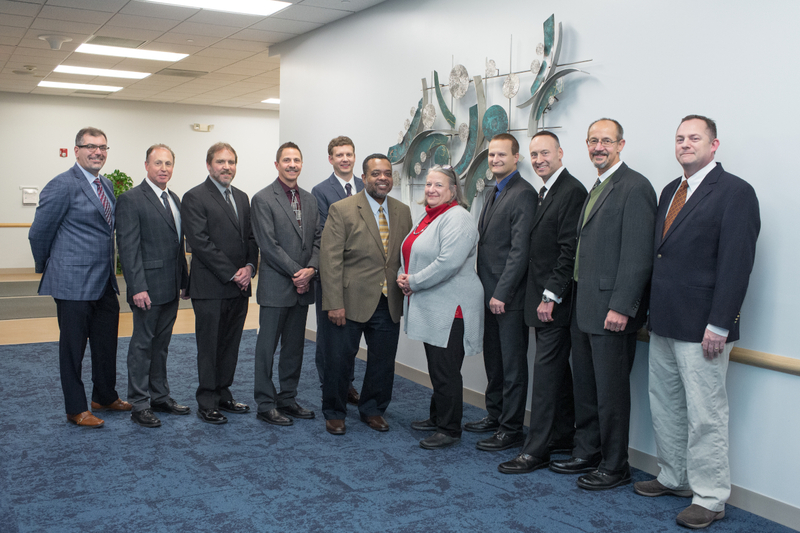 From left to right, Dr. Shervin Dean, Dr. Scott Wise, Dr. Brian Bloom, Dr. Mark Labuski, Dr. Brian Bentley, Dr. Rhondey Harford, Dr. Maria Pettinger, Dr. Dennis Duryea, Dr. Stacy Castaldi, Dr. Joachim Huerter and Dr. P. Lynwood Stagg III. Not pictured: Dr. Todd Sanders. Twelve radiologists formerly of Tristan Radiology Specialists will become part of Penn State Health Medical Group on Jan. 1. The radiologists will form the foundation of Penn State Health’s new community radiology team, providing expert diagnostic imaging services across the system’s growing community network—including dedicated service at the new Penn State Health Medical Group – Lime Spring Outpatient Center on Noll Drive in Lancaster. This partnership gives the former Tristan radiologists the flexibility needed to continue to provide the outstanding, community-based diagnostic services their patients have come to expect. Their expertise will provide support for the comprehensive primary and specialty care services offered at Penn State Health outpatient practices from the West Shore in Cumberland County to Hershey, Lancaster and throughout the region. The board-certified radiologists joining Penn State Health served as the area’s leading provider of diagnostic imaging services for more than 40 years, previously staffing offices in Harrisburg, Linglestown, Hershey and Camp Hill. As part of their employment with Penn State Health, the group will provide diagnostic services at a number of Medical Group sites across the region. They will also continue staffing a Harrisburg facility, from which they will provide radiology read services to Penn State Health providers and other independent community providers.